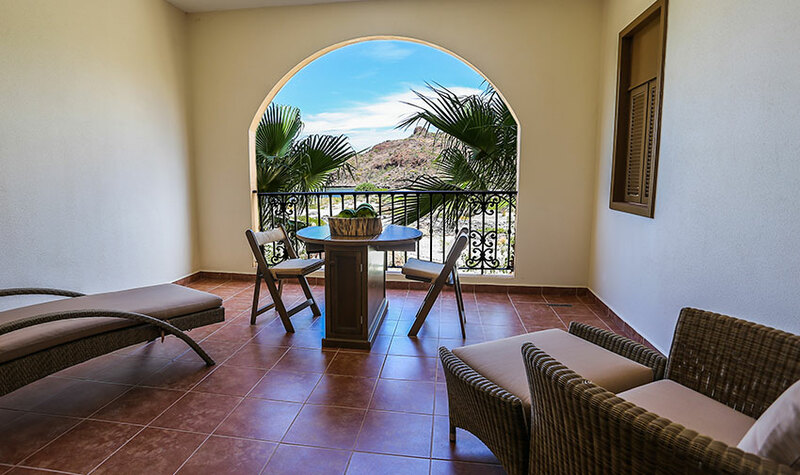 Upgrade your Loreto vacations when you choose one of the Deluxe Suite Premium Floor units at Villa del Palmar at the Islands of Loreto. 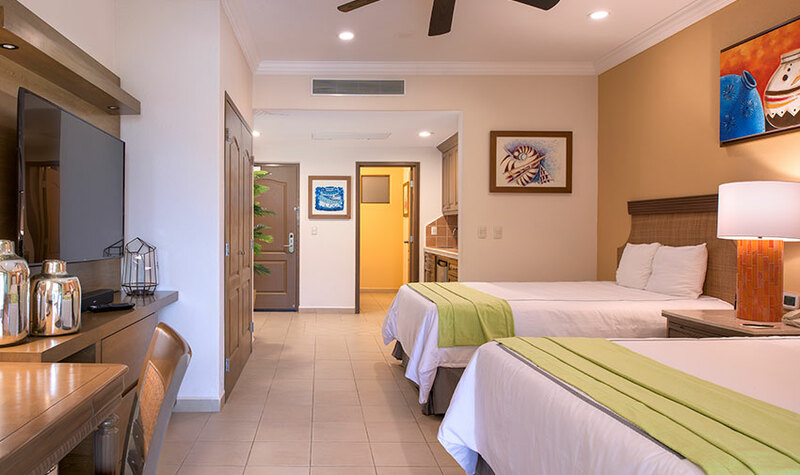 These superior suites give you the luxury and comforts of our residential style Deluxe Suites, plus they come equipped with additional amenities that provide premium satisfaction during your stay at the Loreto all inclusive resort. 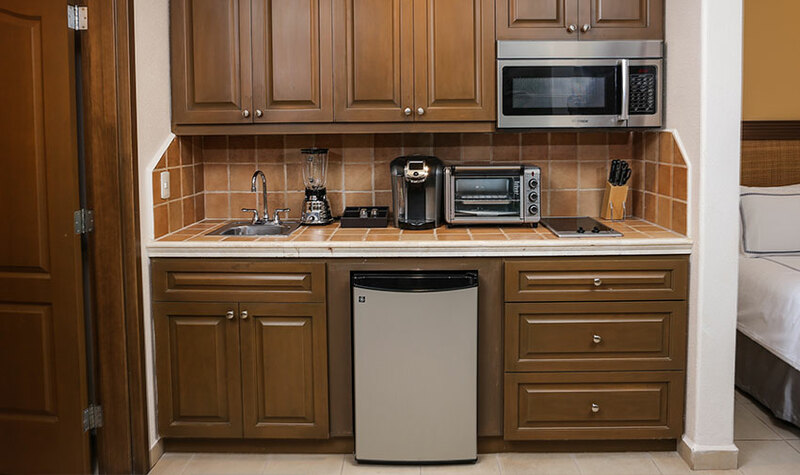 Each Deluxe Suite Premium Floor has two queen-size beds, a large bathroom, an LCD TV, and a kitchenette complete with a two-burner stove, mini-fridge, coffee maker, blender, toaster, and a sufficient amount of dishes so that everyone can dine in the suite! 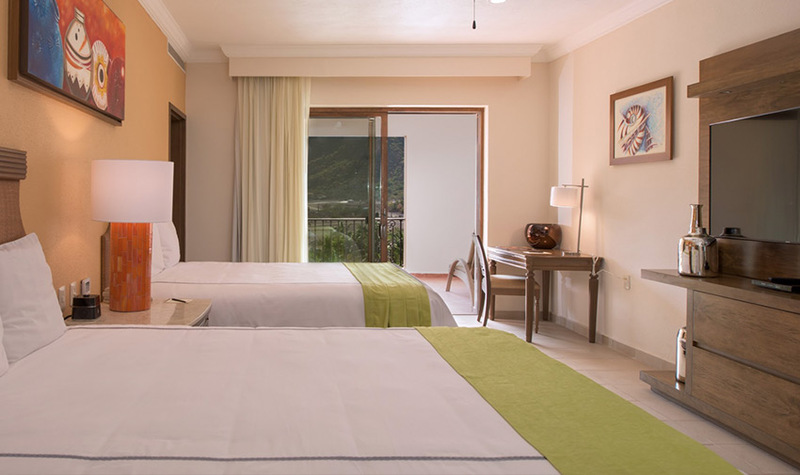 Every Deluxe Suite Premium Floor at Villa del Palmar at the Islands of Loreto has a spacious balcony with guaranteed ocean views, providing guests with the perfect place for relaxing during the day and stargazing at night. 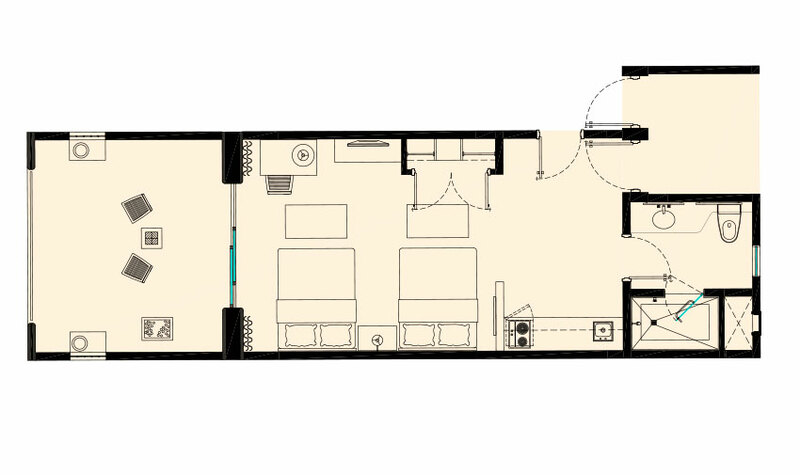 We took our 39 year old son, his 6 kids, and my wife's mother. With my wife and I, it totaled 8! 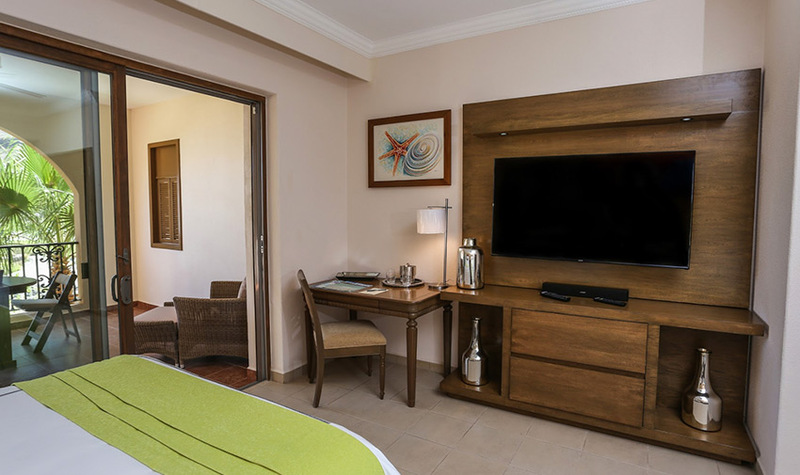 We were greeted by the staff and shown our rooms which were very spacious. The kids couldn't wait to get to the pool, so off we went.